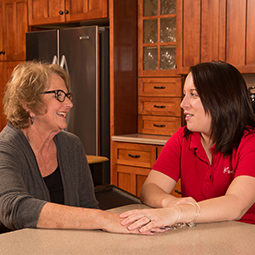 BAYADA Hospice in Norwich, VT provides nurses, physicians, therapists, social workers, and home health aides that specialize in hospice care. 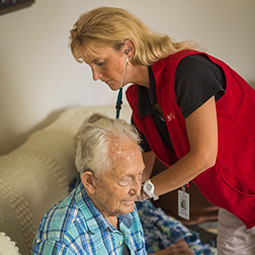 We know that hospice improves a patient’s quality of life, and we follow through with this by providing services through a multidisciplinary team of health care professionals. 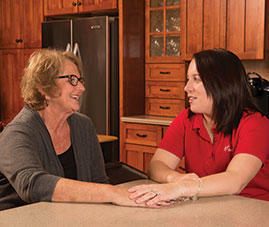 Our team focuses on a holistic team approach to providing hospice service care to patients and their families. We collaborate with primary care physicians to help our patients remain comfortable at end-of-life and act as expert resources to the local medical community. Our professionals excel at providing the highest level of care for the client. 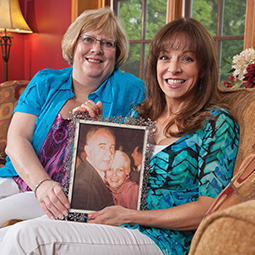 We match our clients with the appropriate caregiver for their needs. Our range of services includes everything from nursing and physician care to therapy and bereavement counseling. 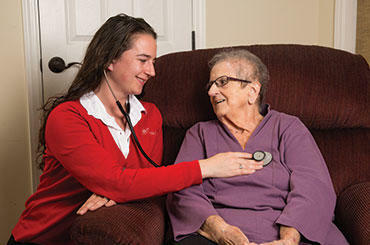 BAYADA Hospice believes in providing the highest level of care with compassion, excellence, and reliability. Services are available 24 hours a day, 7 days a week. If you have a question, please contact us by calling (802) 526-2380 or by visiting our office located at 316 Main Street Unit EH-6 Norwich, VT.